There is no doubt that the Jersey shore has changed a lot in the last 100 years. If you visit Island Beach State Park you can see what Lavallette, Ortley Beach, and Seaside Heights were like before being developed. In Island Beach you walk across the island and see a number of distinctive habitats. There is an Atlantic Ocean facing beach, a series of vegetated dunes, maritime forest, small fresh water ponds, salt marsh, and finally Barnegat Bay. 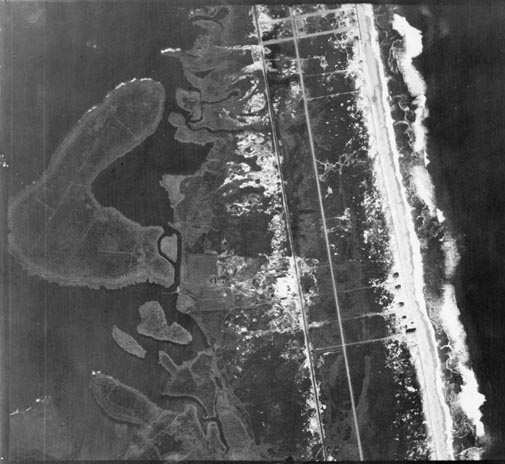 If you do or don't get a chance to see Island Beach SP, it is interesting to be able to see what Lavallette looked like some time ago. Lets start by looking at Lavallette today. Here is a satellite view of Bay Avenue and a bit of West Point Island. The landmarks are obvious to anyone familiar with Lavallette. We see that this map's southern edge extends into Ortley Beach. Let's look at a similar view of the same area taken in 1920. How remarkable is that? As far as I know the two north-south roads you see are what we know as Route 35. One difference in 1920 is the road to the west is, I believe, a railroad track. It seems strange to see hardly any houses. Also - if you wanted to get to West Point Island you had to wade through a small stretch of the bay to get there. 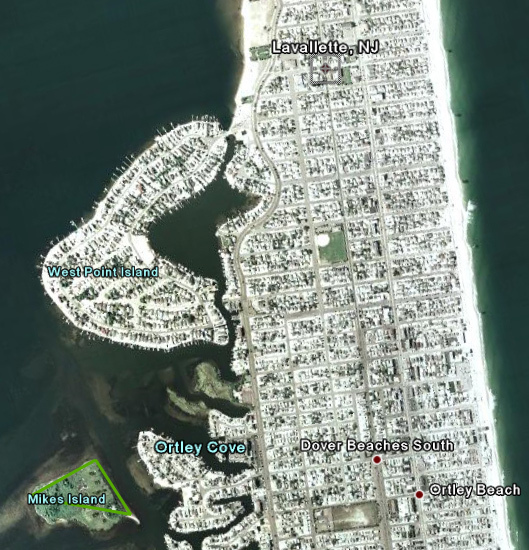 We can focus a bit on the few houses near the Lavallette / Ortley Beach border. It seems these were some pretty nice homes but it is a bit hard to tell. The northernmost street of the three in the blown up picture below looks like it should be around where 4th or 5th avenue is today in Ortley Beach. 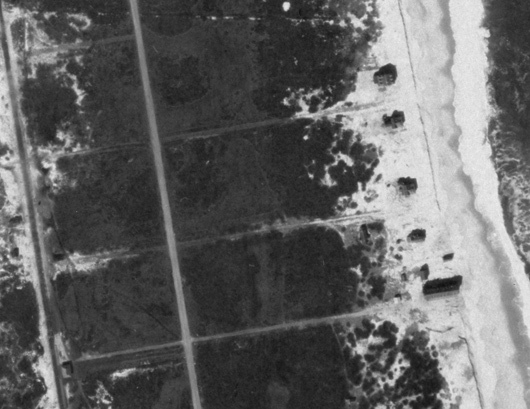 That would mean that somewhere near the second and third house (counting from the top of the picture down) is where the Surf Club is today. Quite a different view from the beach in 1920!